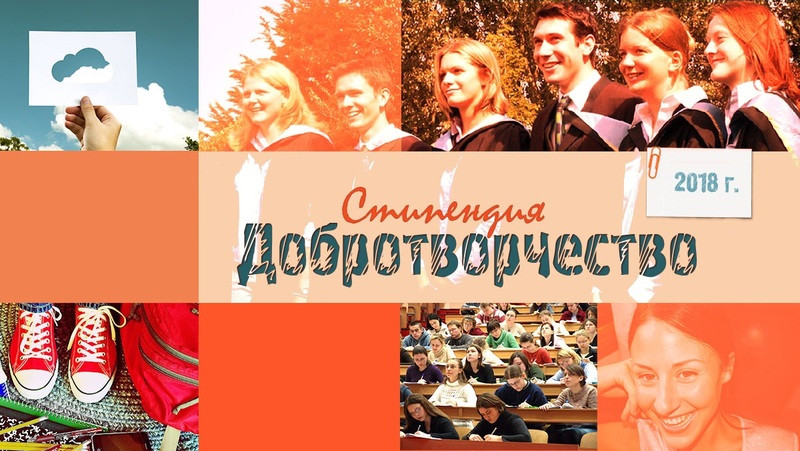 Following the success of the “Creating Good” Contest in 2015 and 2017, during which the total amount of distributed funds exceeded BGN30,000, this year Association “Milostiv” has launched the initiative once again to help young people experiencing financial difficulties pursue university education. We, the organizers of the contest, believe that all children have the right to proper education that will provide them a chance for a decent life. The main criterion for this should be their ability and willingness to learn and develop, not their financial and social status. In the past, many successful Bulgarians have recognized their personal responsibility to their fellow citizens and society and readily given support. There are hundreds of cases, described in the “Charity Encyclopedia”, of people who donate from their own pockets to finance the education of children in Bulgaria. Realizing their personal responsibility in society, each of them has helped to the best of their abilities, from a single student scholarship to major funds for building schools and universities. These examples are so many and so significant that we could talk about conscious combined efforts in the name of Bulgarians and Bulgaria, as well as in support of science, religion and art. One of these examples is Raiko Tsonchev, whose father died when he was a child. He could not afford to even buy a textbook, but then he mastered a craft, became a wealthy man and donated a large sum for the construction of a school and a church. Evlogi Georgiev, one of the most remarkable donors in Bulgaria, who together with his brother Hristo Georgiev financed the construction of Sofia University, wrote in his will: "Only the hope that I can be a part of the success and greatness of my country gives me comfort to die in peace". A ten-month scholarship of BGN100 per month plus a lump sum of BGN200 for the purchase of textbooks will be donated in October 2018 to the top-ranked participants who have been admitted (or continue) to study at a university. You are experiencing financial difficulties or find yourself in a disadvantaged situation (raised by a single parent, in a foster family or specialized institution, or have a long-standing health problem / disability). You are not older than 21 years of age. You intend to enroll at a university in 2018 or you are currently a university student. You hold an average grade greater than 4.50. 15.08.2018 г. - Deadline for submission of the application package. Why do I want to study at a university? What would I like to major in? What professional development would I pursue after my graduation and why? How will university education help me reach my goals? For the candidates who are already university students, the first two questions are to be replaced by: Why did I decide to study at this university? Why did I choose this particular field of study? Please, bear in mind that your Letter of Motivation will be published on our webpage milostiv.org. An average grade greater than 4.50 is required. If you are a graduate but you are not yet a university student, a copy of your high school diploma is required. If you are already studying at a university, a copy of your transcript is required. If you have lived or currently live in a state foster care home or with foster parents, please provide a note to verify that. If one of your parents is unemployed, a note from the Public Employment Office certifying the unemployment. If you are disabled – the relevant document from TELK/NELK, verifying your condition. 5. Completed and signed Personal Data Processing Agreement that can be downloaded HERE. Chairman of the Selection Panel is Ms Vaska Glushkova, and its members – Mr Radoslav Kirkov and Mr Simeon Yordanov. Apart from meeting the abovementioned requirements, it is essential that candidates demonstrate strong motivation and will to learn and develop their skills. The scholarships are provided entirely by private individuals and companies. Any donor is welcome to join by transferring the desired amount to the bank account of Association “Milostiv” as below, or, if the donor would like to cover an entire scholarship to one or more students, funds may be directly transferred to the student's account. Each donor can read the candidates’ Letters of Motivation and personally select whom to support. We encourage you to join us in our effort to help more young people learn, develop their talents, and live with dignity, thus contributing to the well-being of our society. Please, specify "Scholarship" as the reason for payment in the bank transfer or PayPal description (second page – select "Description" – put in "Scholarship") to acknowledge the initiative you would like to support. Честито на младежите, които ще бъдат подпомогнати. Желаем успех на всички кандидатсващи през учебната година и благодарим сърдечно на частните лица и фирмите, дарили средствата за стипендиите.